MEDIA, Pa. (June 2017) – Delaware County full-service law firm Raffaele Puppio is pleased to welcome family law attorney Alexandra H. Junkin, Esq. to the firm. 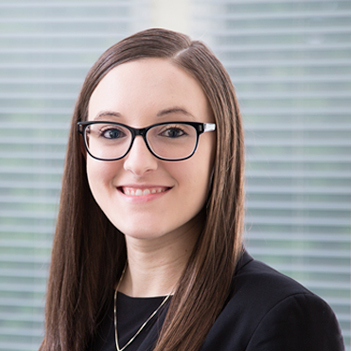 Junkin joins the firm as an associate after completing an internship with firm partner, experienced Delaware County divorce attorney Kathleen A. Piperno. Junkin focuses her practice on family law, representing clients in matters including divorce, child custody, child and spousal support, and Protection from Abuse. Alex graduated from The George Washington University in 2013 before going on to earn her law degree from Villanova University’s Charles Widger School of Law, where she also received the Leonard Levin Memorial Award. She completed legal internships with the office of the Delaware County District Attorney, where she assisted Assistant District Attorney Mary Mann in the prosecution of an attempted murder trial as well as in veterans court and mental health court proceedings. An internship with the Honorable Barry C. Dozor gave her experience in Delaware County family law. Junkin is admitted to practice in Pennsylvania and New Jersey.